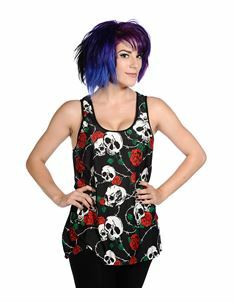 Vest tops are perfect for staying cool or layering. With many vest tops being your standard primary colours we've gone for something a bit different with our selection of 1940s, 1950s & 1960's womens vintage & alternative style vest tops. Full of print and colour our vest tops are affordable and designed to get you noticed.